A representative of Supreme Leader Ali Khamenei warned today that Iran will respond to the latest Israeli air raids in Syria and stressed that the country will further empower its proxies to confront the United States and its allies across the world. 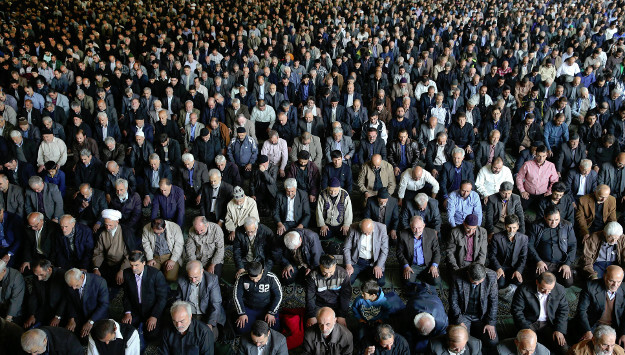 “Iran will not restrict itself to the region or one country in strengthening the axis of resistance to counter the expansionist desires of America and the occupying Zionist regime,” Hojjatoleslam Sayyed Mohammad Ali al-Hashem, the Friday prayer leader of Tabriz told worshipers today. He also confirmed that Iranian military personnel were killed in the Sunday night air strikes on Syria’s T-4 air base. “Some officials of the Zionist regime have threatened Iran over the past days, saying that they will not allow Iran to remain in Syria or expand its presence there,” the cleric said. “But officials of this child-killer regime should understand that the Islamic Republic of Iran and the axis of resistance are not scared of these threats. The time for such empty words is over,” he added. The Friday Prayer leader emphasized that Iran “does not need others’ green or red lights” to assist “the resistance front” against the US and Israel. Hashem said Israel should expect a “resolute” response from Iran at “the appropriate time and place”, stressing that Iran will avenge the killing of its military personnel. At the end, the cleric also said that the nuclear deal that Iran signed with world powers almost three years ago has failed to benefit the Iranian people, calling on the Rouhani government to focus on “resistance economy” and look inward to boost the economy rather than rely on the West. Comment: Although the tide of war between the pro-Assad regime and opposition forces is receding, a dangerous regional power play is escalating in Syria. With the collapse of ISIS, Iran and its regional proxy forces have made it clear that they are not leaving Syria anytime soon. Iran’s Revolutionary Guards is entrenching its presence in the Arab country while Iranian proxies say it open that they will fight Israel next. The weekend air strikes in Syria attributed to Israel that killed Iranian military personnel and the threat of retaliation by Iranian officials are the latest indications that Israel and Iran are on a collision course in post-ISIS Syria. On Wednesday, the Israeli cabinet held a session to discuss potential retaliatory actions by Iran and its regional allies.